Discover wines from the hills just outside the historic centre of Saint Émilion. This charming region, dominated by historic homes and Romanesque churches has many acres of vines. 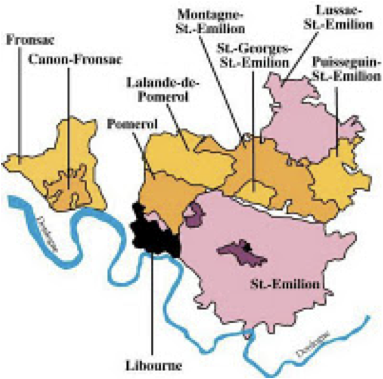 The Satellites of Saint Émilion offer similar grape varieties, climate and soil as those of Saint Émilion. The wines from our producers can match the quality of their more expensive neighbours, but with a lower price tag. The value for money offered by these wines makes it worth seeking them out. Six satellite villages that once sold their wines under the Saint Émilion AOC surround Saint Émilion. 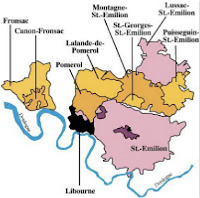 Of these villages, four now add Saint Émilion to their names to form the Saint Émilion satellites. The Barbanne River, a small river that formed an ancient frontier between those in the south who spoke the Langue d’Oc and those in the north who spoke the Langue d’Oil, separates the satellite villages from Saint Émilion. Today the Barbanne is a frontier between the famous and expensive wines of Pomerol and Saint Émilion and more affordable quality wines from the satellite appellations. Oz Clarke acknowledges that while wines from the satellite appellations may not resemble the best or most glamorous wines of Saint Émilion or Pomerol they can measure up to some of their neighbours. Wines from the satellites offer value for money. Move beyond the terracotta rooftops of Saint Émilion to discover interesting wines at a fraction of the cost of their more easily recognized neighbours.